← Don Kulick Lectures Today and Tomorrow! Today marks the Fifteenth Transgender Day of Remembrance. TDoR was founded in 1998 by Gwendolyn Ann Smith, a trans woman who is a graphic designer, writer and activist. Smith’s mission in starting TDoR was not only to acknowledge the tragic murder of Rita Hester, a trans woman in Allston, Massachusetts, but also to raise awareness about the widespread violence directed toward trans* people that had been taking place regularly. According to Transgender Europe’s Transgender Murder Project (TMM), 238 trans* people were murdered worldwide this year. Here is an incomplete, but nonetheless devastating, list of people who died because of anti-trans* violence in 2013. This, of course, does not account for unreported incidents, murders not designated as hate crimes, incorrect reports of victims’ genders by police, or the crimes unrecorded by authorities. Today we recognize and mourn as a community for those who lost their lives being true to themselves. It is important, though, to make sure we don’t only focus on this pain, but that we also look at the achievements made in education, awareness and policy around trans* issues. TD0R also exists as a day where we can choose to dedicate ourselves to transforming a culture of hate and fear to one of celebration, love, and safety. We can raise awareness about the social injustices experienced by trans* and gender non-conforming individuals and we can further educate ourselves about how to be trans* advocates and good allies as friends and family. The more we learn, the more we can teach others. Be active in sharing your perspective and seeking out the perspectives of others, and help make our world one that celebrates inclusion and diversity. 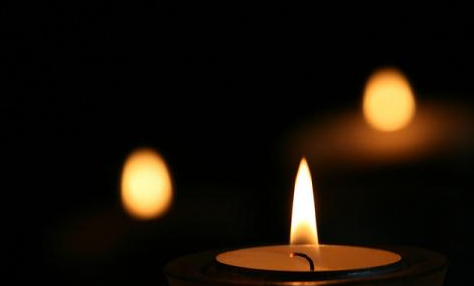 All are welcome to attend the Transgender Day of Remembrance Vigil at the Open Arms Metropolitan Community Church at 7pm to remember those who have been murdered this past year by people harboring fear and hatred spawned by transphobia, racism, classism, sexism, cissexism, and transmisogyny.